Professional automatied forms for easy collection and evaluation of offers in tenders. We also provide our clients with analytical support in the tenders for logistics partners. 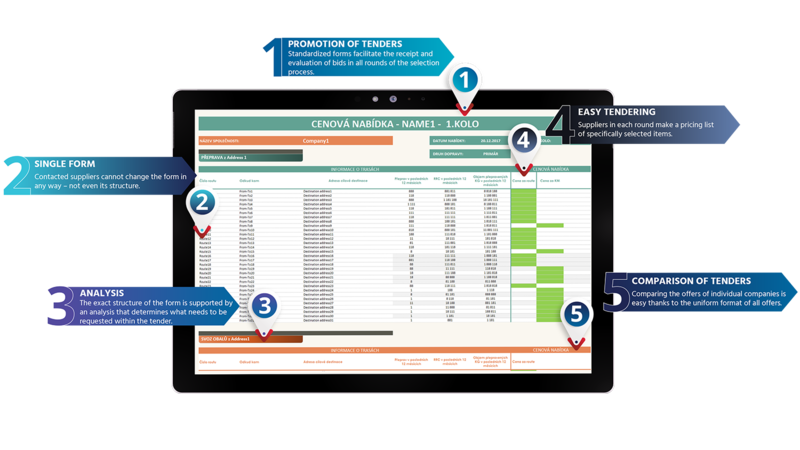 This support includes forms that help automate both the process of collecting bids and the evaluation of all levels of tender. The often intensive and time-consuming tendering process is, therefore, more efficient. 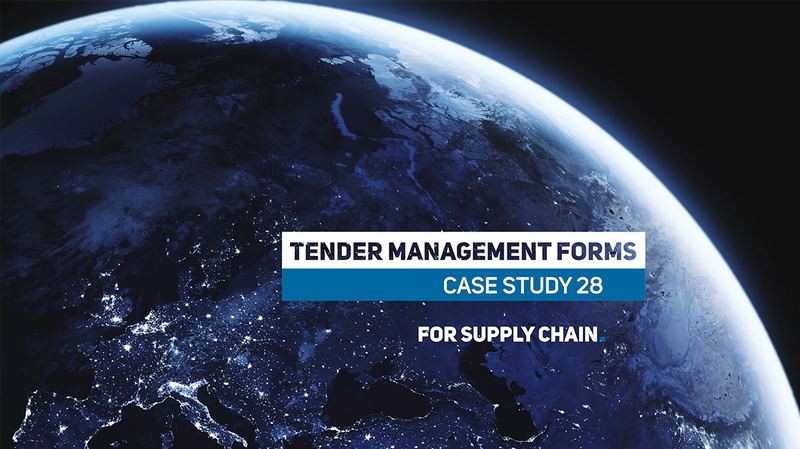 Before the tender itself, we analyze the current situation in client´s logistics. This analysis clarifies exactly what should be the subject of the tender – what routes, frequency, volumes, etc. Based on the results of the analysis, the client then determines the exact criteria of the tender. All addressed logistics partners will then receive an identical form to fill in their offer, in which no fields or layouts can be changed. Similarly, the format of the data to be filled in – text, amount in a certain currency, etc. – is also given and cannot be changed. The fact that all logistic partners have the same form at their disposal and clear data visualization make evaluation very easy. We also have an automated process for that, which saves the client the time needed to evaluate individual offers. Optimization of processes in logistics and their maximum possible automation is our domain. Throughout the years, we have prepared dozens, perhaps hundreds, of similar forms (such as the tender form) in various fields, such as project management or warehouse management.